Following Sunday's crash in Ethiopia of another Boeing 737 MAX 8, the second accident in five months, the flagship US manufacturer faces fresh questions about the planes' airworthiness. 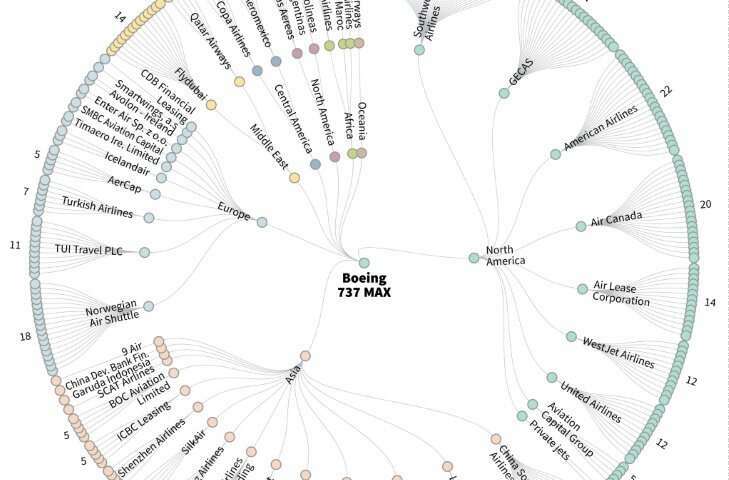 But are US authorities likely to ground these planes, a cash cow for the aerospace giant? American officials face a difficult task in reassuring the flying public, as passengers take to social media, saying they are afraid to board a 737. The Federal Aviation Administration said it has a team on-site working with investigators on the cause of the crash, and pledged to take "immediate" action if it finds any issues with the aircraft. In addition to the FAA, the US National Transportation Safety Board and Boeing all have sent officials to Ethiopia to help investigate. 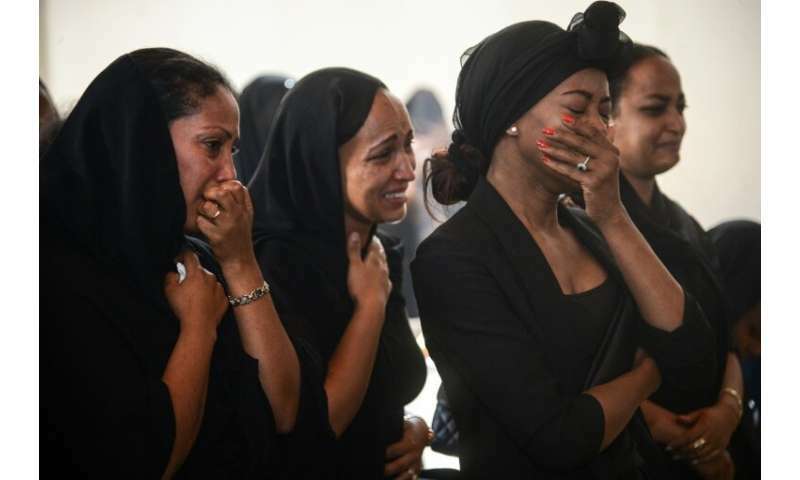 The cause of the crash remains unknown but the airline says investigators have recovered the black box flight recorders from the Nairobi-bound jet. "We don't know anything for certain about this crash at this point but you certainly can't rule out a grounding," said Richard Aboulafia of Teal Group, an aerospace consultancy. China, Indonesia and Ethiopian Airlines have set a precedent by grounding the planes themselves, he added. But he said US authorities must not yield to political pressure despite Boeing's economic importance as an exporter. "For the good of the system, and for the good of the industry in the long run, safety decisions are best left to professionals concerned solely with safety. Politicizing safety is not a good idea," he said. A 737 MAX 8 operating as Ethiopian Airlines Flight ET302 crashed Sunday southeast of Addis Ababa shortly after takeoff, killing all 157 passengers and crew members aboard. The same model—a more fuel-efficient version of the 737—crashed in late October in Indonesia during a flight operated by Lion Air, leaving 189 people dead, also just moments after takeoff. Not since the 1970s—when the McDonnell Douglas DC-10 had successive fatal incidents—has a new model been involved in two deadly accidents in such a short period. The causes of the crashes are not yet known but the planes' Angle of Attack sensors, which provide data about the angle at which air passes over the wings, have come under scrutiny. A malfunction could cause the plane's computers to detect a stall incorrectly and put the plane into a dive when it should climb instead. Boeing has sent experts to assist in the investigation and has so far delayed the official roll-out of its new long-haul 777X jet, which had been scheduled for Wednesday. Boeing lamented the crash and said: "Safety is our number one priority." "The investigation is in its early stages, but at this point, based on the information available, we do not have any basis to issue new guidance to operators," the company said in a statement. The FAA said it would review data and "if we identify an issue that affects safety, the FAA will take immediate and appropriate action." 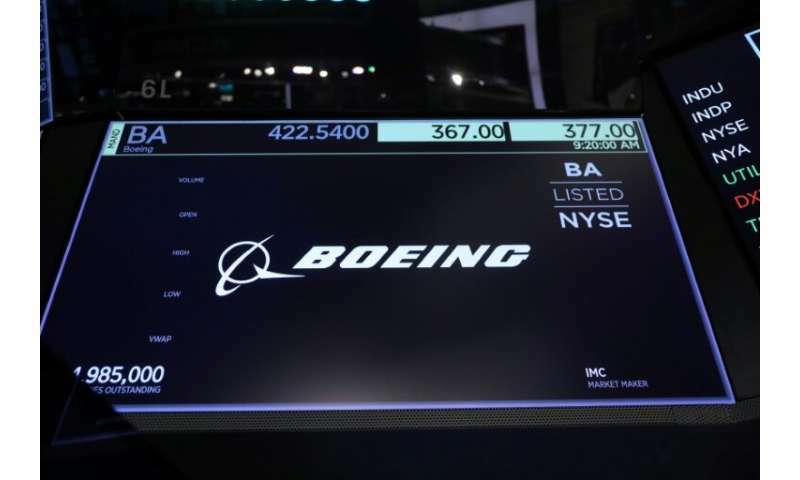 On Wall Street, Boeing shares plunged around 12 percent earlier in the day, before recovering about half its losses by the close of the trading day. US airlines remain confident in the manufacturer. A person with knowledge of the matter told AFP that American Airlines planned to continue operating flights aboard the company's two dozen 737 MAX 8s as scheduled. And Canadian officials said they would not ground the three aircraft in use by the country's airlines. 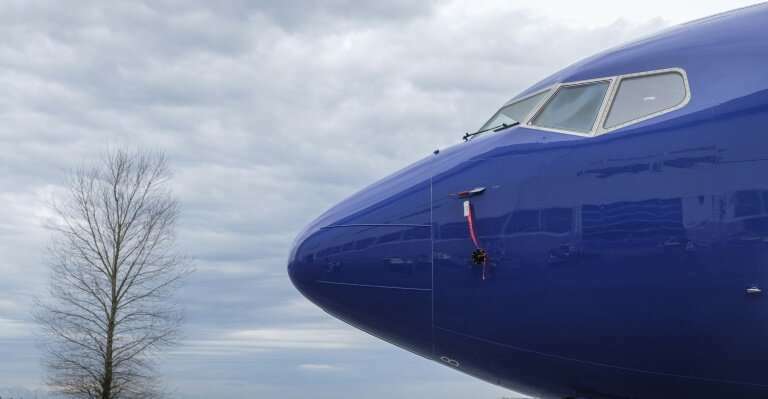 "We remain confident in the safety and airworthiness of our fleet of more than 750 Boeing aircraft," said a spokesman for Southwest Airlines, which operates a fleet of 34 737 MAX 8 aircraft. Grounding the 737 MAX 8 would be a major setback for Boeing. The aircraft is a key profit driver, with 350 currently in service. When US authorities grounded the Boeing 787 six years ago due to problems with its batteries, only 50 were in operation. The economic fallout would be even greater as Boeing employs more than 150,000 people in the United States, with assembly plants in South Carolina and the state of Washington. As of Friday, it accounted for 11.3 percent of the benchmark Wall Street stock index, the Dow Jones Industrial Average. This year, Boeing also plans to increase the production rate for the 737 MAX to 57 aircraft per month from 52, in order fill 4,661 orders by January. "Boeing is strategic, it's a tool of trade," said Michel Merluzeau, an analyst at AirInsight. The 737 MAX also figures in the fraught current US-China trade talks, with American officials urging Beijing to purchase more of the jets and cut America's soaring trade deficit with China, according to media reports. In this context, China's decision to ground the 737 MAX is not necessarily related to security concerns, Merluzeau said. In addition to commercial airliners, Boeing also manufactures military aircraft, including the KC-46 Pegasus aerial refueling jet, and is a contractor in US space programs.